The best time to prune trees is easy to determine with these tips. 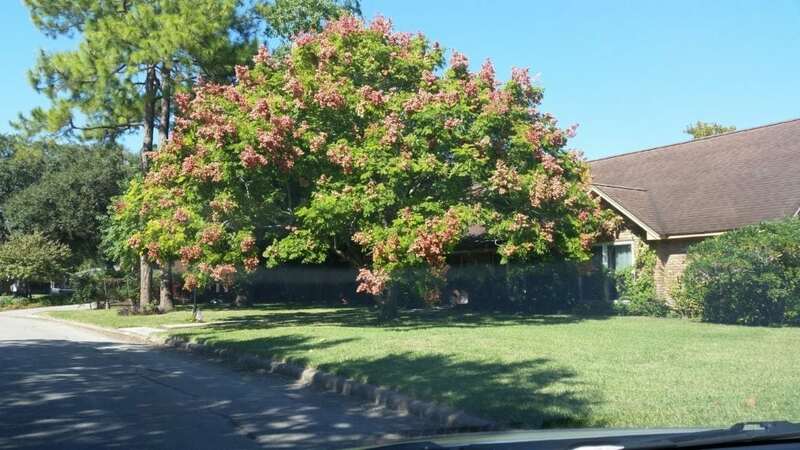 When is the best time to prune trees in Houston? The best time to prune trees is generally early July through late January in the Houston, TX area. The best time to prune trees actually varies with the species of tree and the temperature patterns in your area. Advantages of pruning trees at the right time are better disease resistance and increased vigor. For blooming and fruiting trees pruning trees at the right time will increase blooms and fruit yields also. So when IS the best time to prune trees? The answer can be complicated for reasons that might might surprise you. Some pragmatic advice on tree pruning from an arborist in your area. If your a tree owner you may have wondered when the best time to prune your tree was. Many of our customers report that they have asked one or more green industry professionals and received mixed advice. Searching the internet quickly yields a multitude of answers from arborists and tree care professionals across the country yet still the average tree owner may still not be clear on the best time to prune their trees. Lets look at reasons for pruning trees at different times to help you understand the pros and cons of pruning trees at exactly the right time vs. exactly when you happen to get around to it. The best time to prune trees is........ Well it depends! The reason this question gets so many confusing answers is because the best time to prune trees really does depend on several key factors. Before you can truly get the correct answer you need to know the following: the species of your tree or trees, the local climate, local insect and tree disease trends. 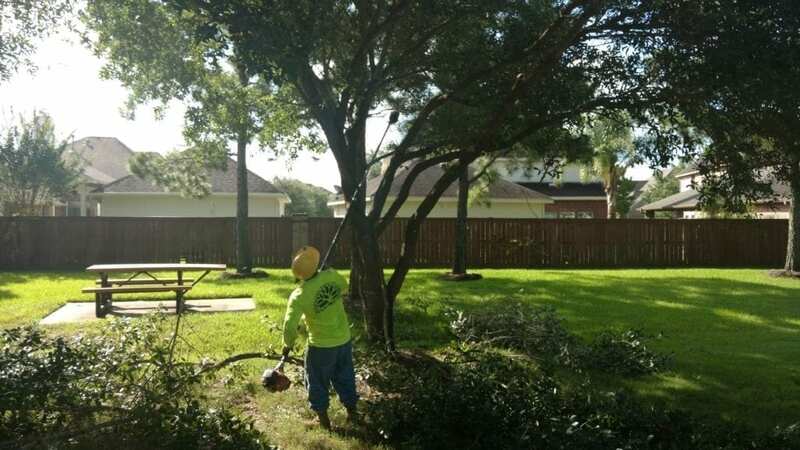 This may sound complicated but have no fear, your arborist is here to help with a few basic rules you can follow when deciding the right time to prune trees in the Houston area. First and foremost when you read an article on the internet about the best time to prune trees make sure you pay close attention to where the author is located! The internet is a wonderful tool for learning and an almost unlimited source of information. It connects us to each other over large distances at the click of a button. When it comes to caring for your trees (and landscape) it’s best to consult a local professional. Our climate in the Houston area is quite different than that of north Texas much of the year and wildly different than other parts of the country. Because of our unique climate nature behaves differently here than it does in other parts of the country. 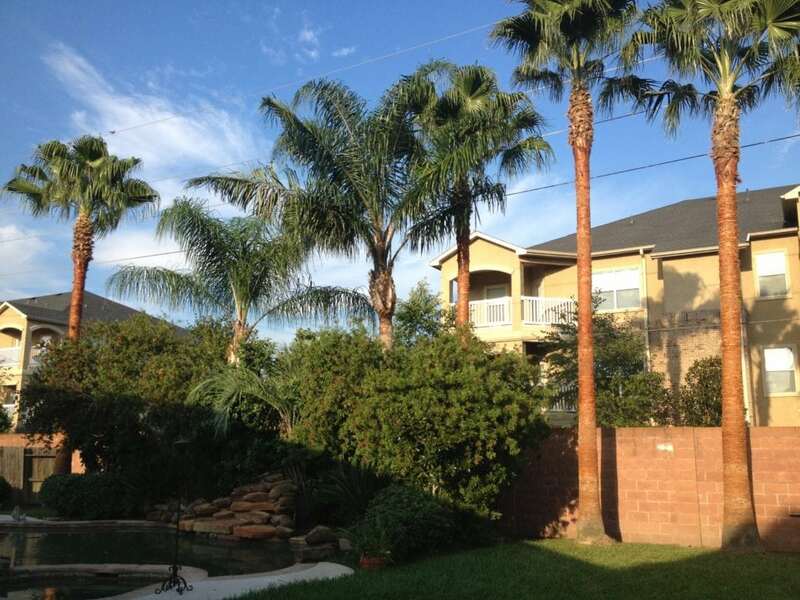 We have different tree species and or the same species don’t behave exactly the same in Houston as they do elsewhere. We have different insect populations and different tree disease issues. All of these factors contribute to determining the best time to prune trees and serve to enhance the confusion about the topic. Second, decide what is most important to you about your landscape. Take a moment to think about how important your trees are to your landscape, the value of your property and to you personally. 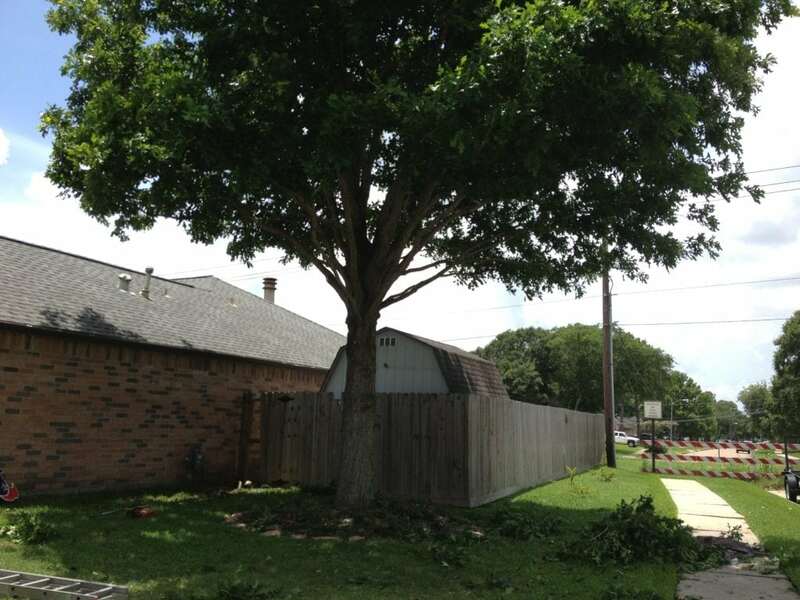 All too often I drive through neighborhoods in the Houston area on my way to consulting appointments and see tree after tree completely butchered. So many trees in our area are excessively over pruned and or in such a manner that they barely resemble the species they represent. Worrying about the right time to prune trees should be lower on the list of concerns than how to properly prune a tree. Of all the parts of your landscape the trees are the only thing that will likely still be there when you are gone and maybe even when your house is gone! Improper pruning will cause far more damage to your tree than pruning at the wrong time of year. 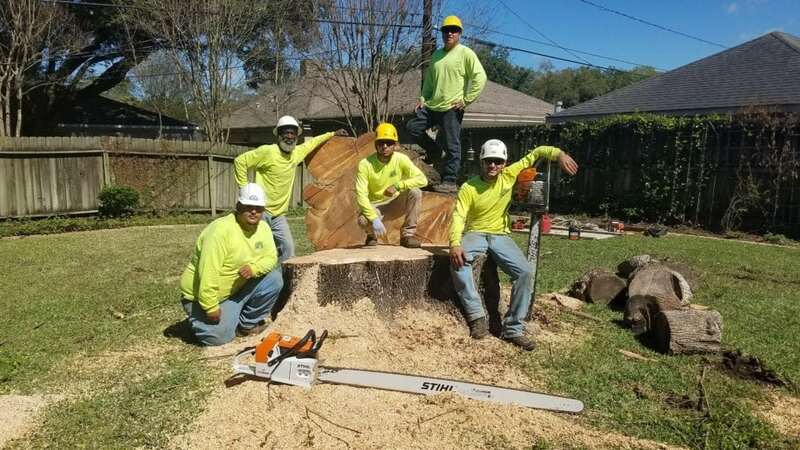 Because untrained tree cutters are such a prevalent problem in Houston it’s worth taking time to decide if it’s worth a little bit more time and expense to educate yourself and get the job done right. Let's get to the point. So when IS the right time to prune trees? Though the most accurate answer is still a bit complicated best time to prune trees can be boiled down to two main factors: Spread of disease and blooming / fruiting habits of various tree species. Pruning in spring can lead to transmission of tree diseases. All trees follow a similar growth pattern based primarily on temperatures. Cold temperatures in winter followed by abrupt warming cycles in early spring signal trees to start sending out buds and new growth begins to occur. During the initial growth period trees devote all of their energy to putting out the new flush of growth and leave little energy left over for defense. To make matters worse the same temperature fluctuations also signal the rest of nature to wake up and a whole new drove of insects come marching along during the same time. The hungry insects have only one thing on their mind and that is to feed on the new succulent growth that the trees have just put out before foliage begins to harden off in late spring early summer. During this time insects are hopping around from tree to tree enjoying the open buffet while unknowingly serving as little taxi cabs for much smaller disease pathogens. If an insect feeds on a tree that is infected with a disease pathogen (such as Bretiziella fagacearum the fungus that causes oak wilt) it will carry that pathogen to the next trees it feeds on thereby transmitting the disease. Having a bunch of open pruning wounds during this time is literally like turning on little water faucets of sap for insects to feed from. Pruning during the middle of spring sets the stage for massive disease transmission among susceptible trees. In the previous paragraph i used Oak Wilt as the example pathogen that insects can spread from tree to tree. 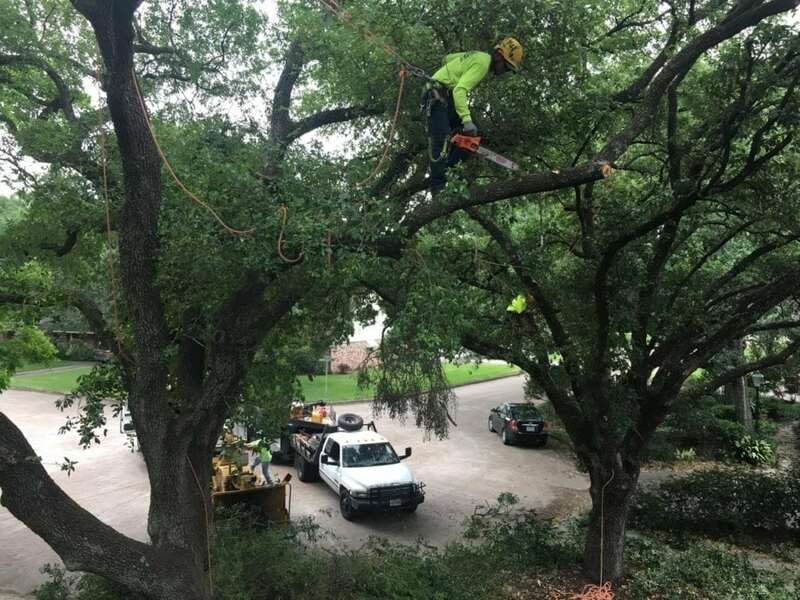 Though this particular disease has caused lots of devastation in the Texas hill country we are most fortunate in the Houston area that we not have a major problem with Oak Wilt. The Texas Forest Service and arborists across the state are actively tracking and trying to prevent the spread of Oak Wilt. Following good cultural practices such as pruning during safe times and sterilizing pruning equipment are a good idea none the less. It’s best to avoid pruning between bud break and during the spring rush. Wait until leaves have fully hardened off before pruning if possible. This generally occurs between March and June but if at all possible avoid pruning during March and April if you have concerns about disease transmission to your trees. The best time to prune trees that flower or produce fruit. For trees that flower or produce fruit the same basic rules apply however with these tree species it becomes much more important to know when they bloom and if blooms are produced on old wood or new growth etc. It is not my intent to cover all tree species in this general guide but the following groups should help give you an idea of what trees you have and when you should prune them. Trees that bloom primarily in the early spring such as redbuds, mountain laurels and the like should be pruned immediately after their blooms begin to fall. Ideally we would prune them before temperatures and insects got moving but with Houston weather you can never tell. So that's basically it. Do you feel like you now know more about the best time to prune trees ? Of course we can go into much greater detail about when to prune and why my goal with this article was to be as pragmatic as possible and help you look at pruning in a way that is applicable to a busy lifestyle. If you really value your trees and want to do the absolute best for them we can always get you more information during a consultation. with one of our arborists. With all things I find there is a practical middle ground that achieves good results for most people while still being reasonable in approach and pruning is no exception. If you have questions about pruning feel free to post a comment or click the contact us button below and have us out to your property. 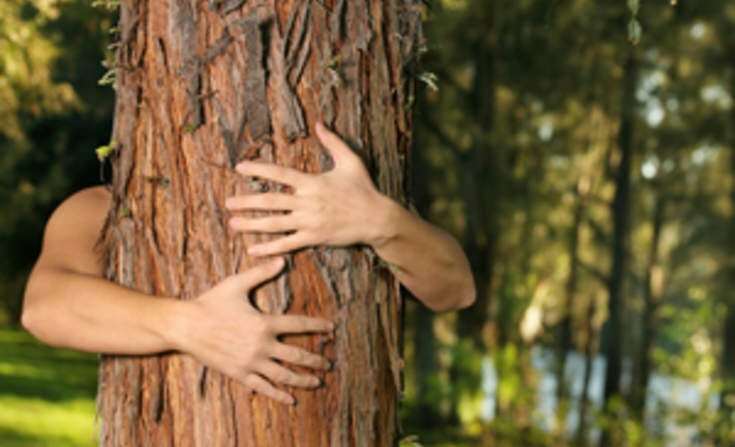 We would love to meet you and your trees! This is some really good information about tree pruning. I have a few peach trees in my backyard and I want to know how to trim them. I liked that you pointed out that pruning in the spring can be bad. It seems like I should hire an expert to help me out.